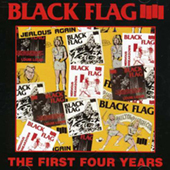 The best collection of pre-Rollins era Black Flag. Compiling their first EP Nervous Breakdown with Keith Morris (who later formed Circle Jerks) on vocals and the second EP Jealous Again with Dez Cadena on vocals. On the B-side there are the Six Pack and Louie Louie EP's, making this album is a must have for everyone. 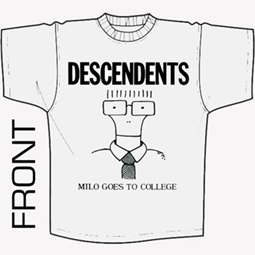 Grey shirt of the Descendents.